A Ruby framework designed to aid in the penetration testing of WordPress systems. To install the latest stable build, run gem install wpxf. 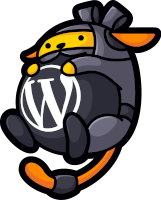 After installation, you can launch the WordPress Exploit Framework console by running wpxf. Ruby >= 2.4.4 is required to run WordPress Exploit Framework. Start the WordPress Exploit Framework console by running wpxf. wpxf [exploit/shell/symposium_shell_upload] > set cmd echo "Hello, world!" Running WordPress Exploit Framework against websites without prior mutual consent may be illegal in your country. The author and parties involved in its development accept no liability and are not responsible for any misuse or damage caused by WordPress Exploit Framework. Generated on Wed Apr 17 15:27:25 2019 by yard 0.9.19 (ruby-2.5.1).